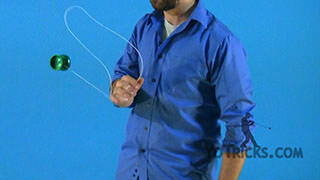 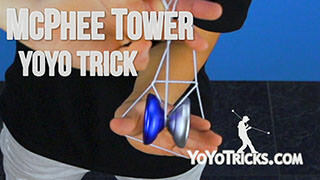 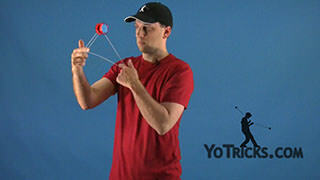 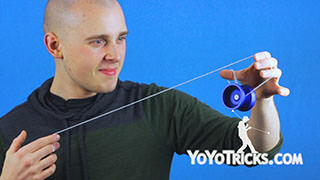 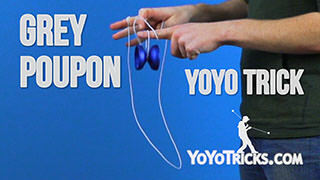 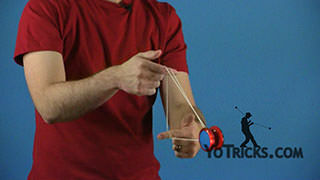 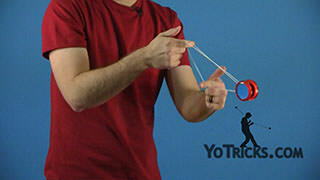 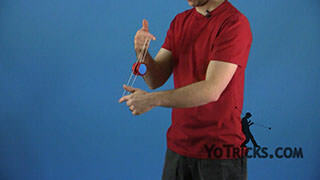 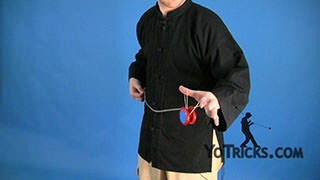 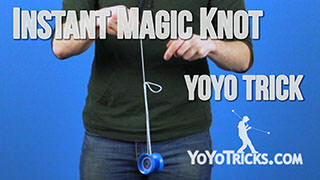 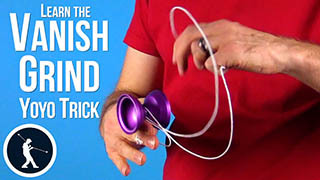 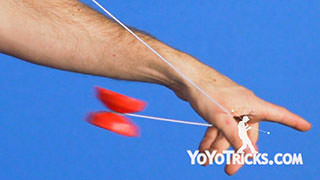 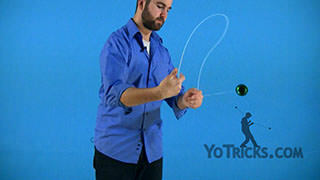 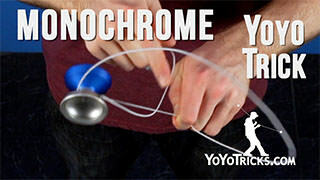 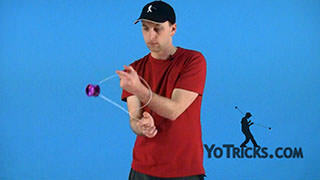 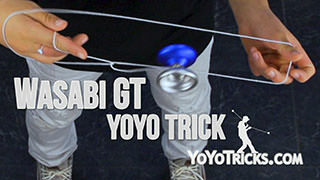 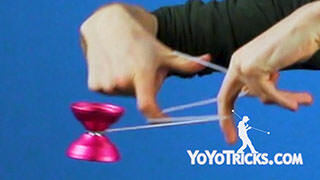 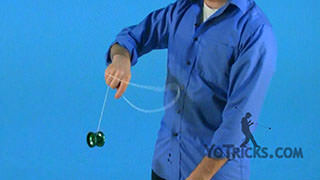 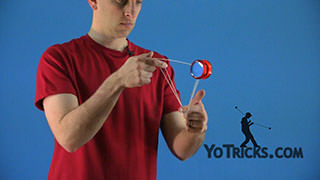 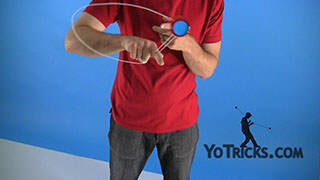 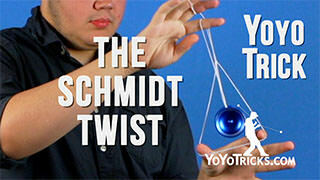 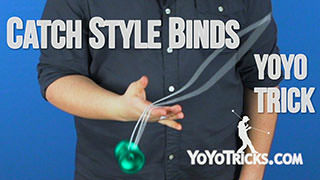 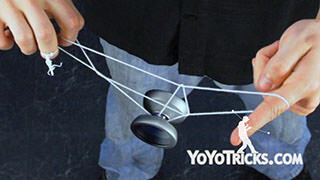 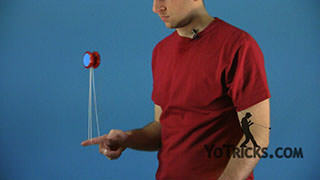 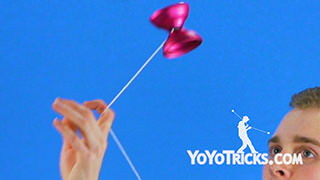 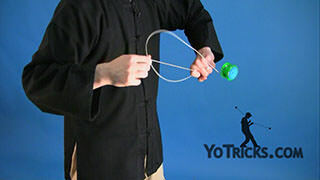 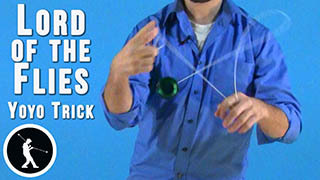 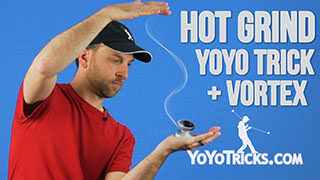 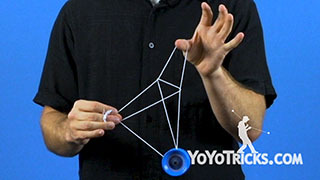 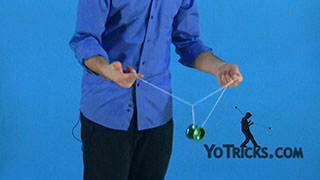 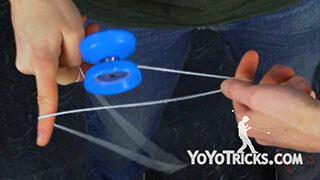 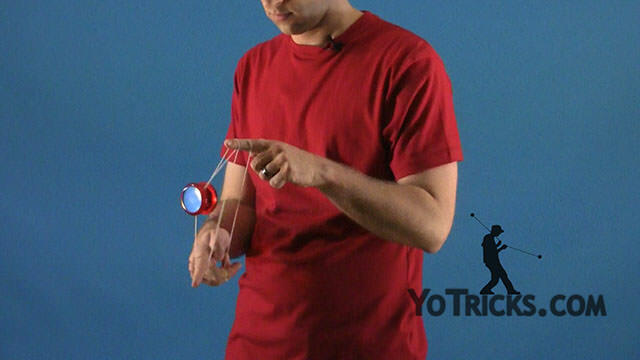 Cold Fusion Yoyo TrickThis trick is called Cold Fusion and it looks like this. 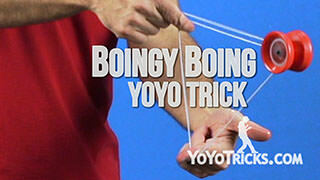 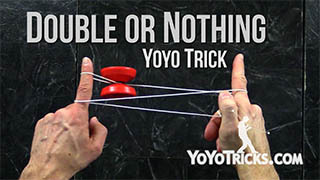 To start this trick you want to start off with your Double or Nothing. 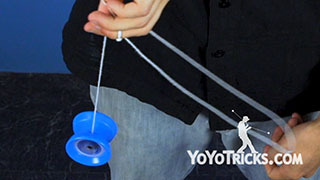 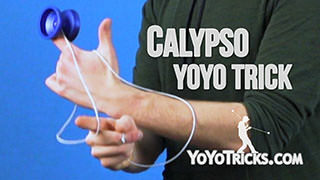 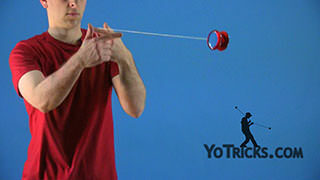 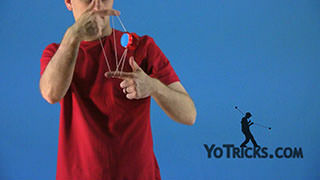 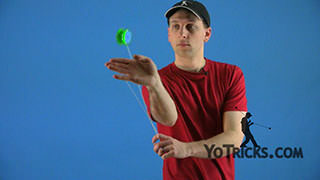 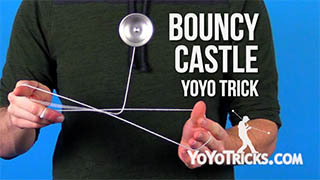 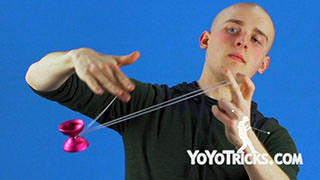 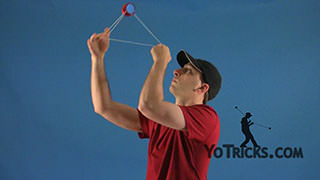 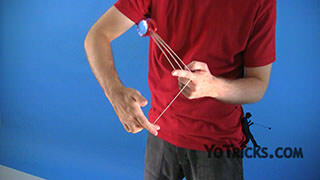 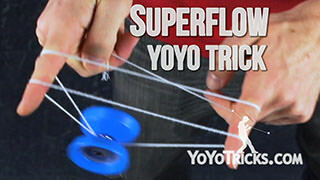 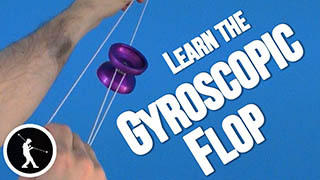 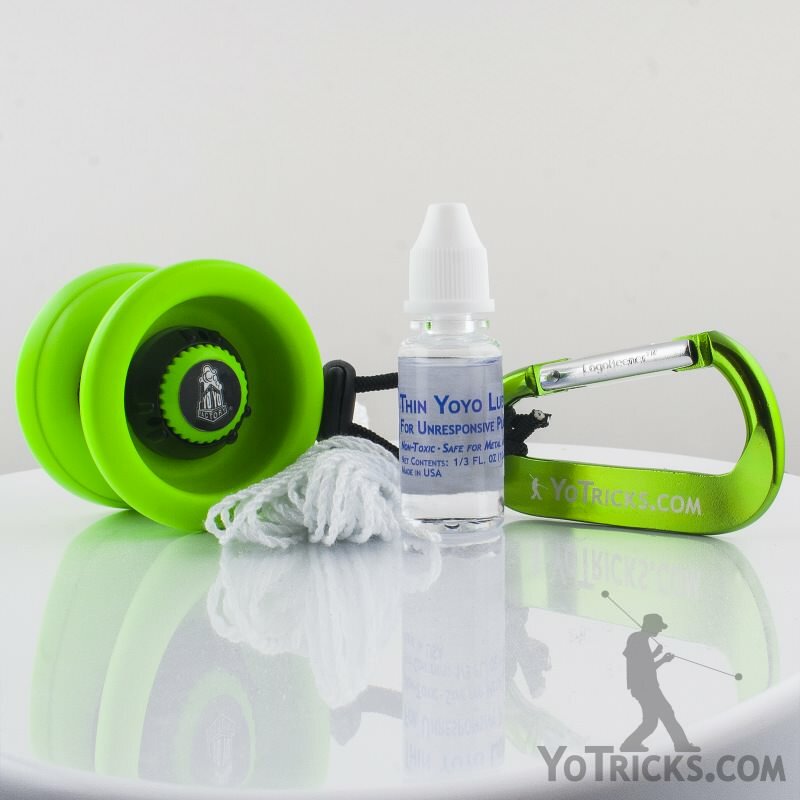 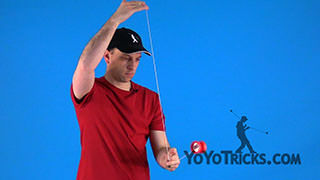 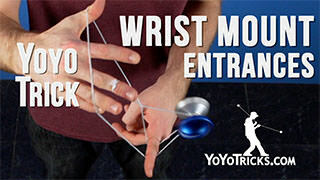 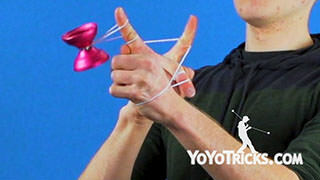 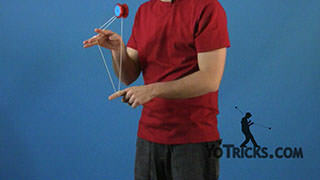 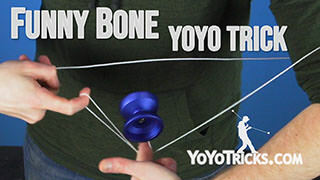 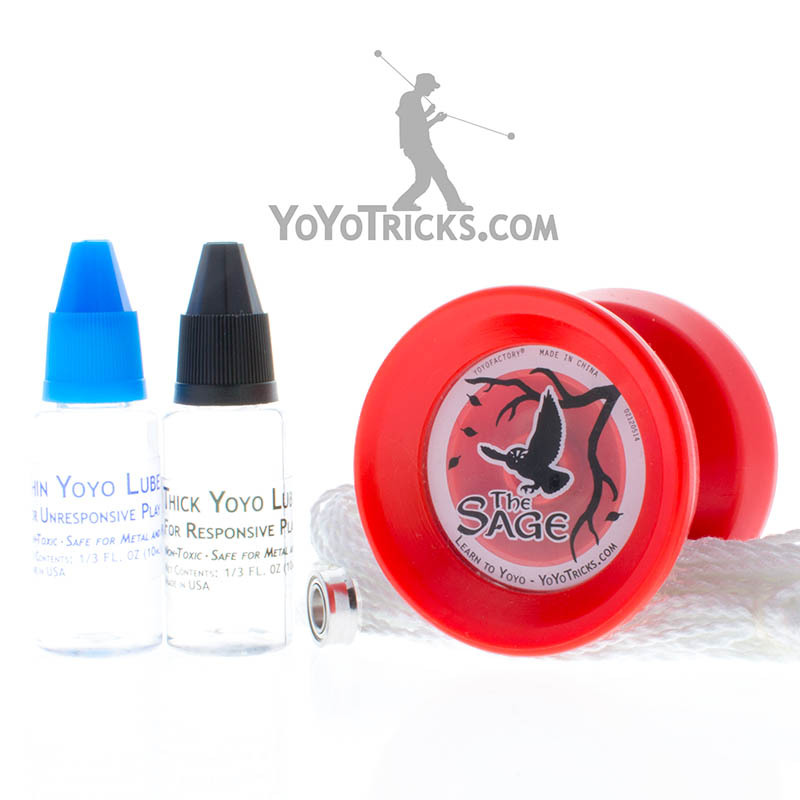 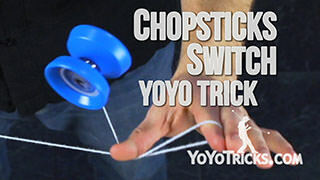 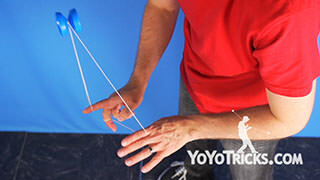 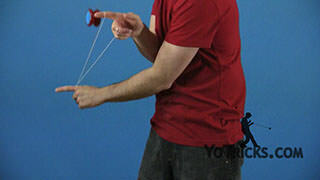 The first part, all you are really going to do is you are going to bring your yoyo hand and then your opposite hand right underneath the yoyo and catch it right on this string. 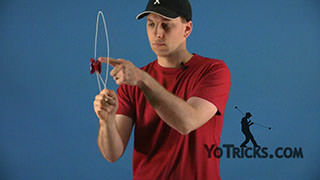 So you are going to bring it right under here… and then you are going to push into the strings and then you are going to catch it on the same string, the outside string, right here with your opposite hand, and then pull that finger out. 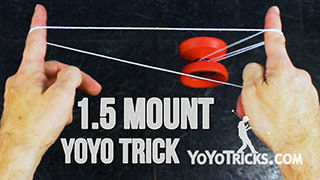 What you will find is that this will get you right into a One and a Half Mount. 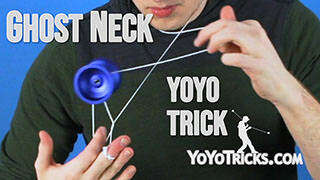 If you think about it the second underpass doesn’t really change anything. 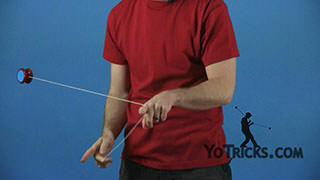 If you pull your finger out here it goes into your One and a Half already. 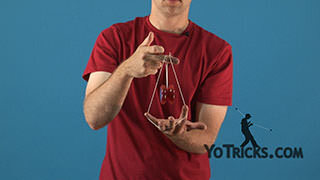 But that is how the trick works. 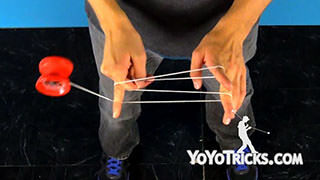 You want to go under, push into the strings, under, pull your finger out. 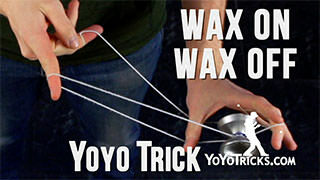 That gets you about halfway through the trick. 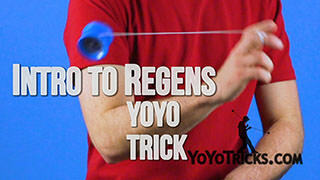 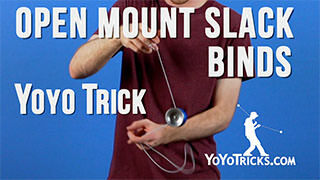 Once you have gotten to your One and a Half Mount the rest of the trick isn’t too hard. 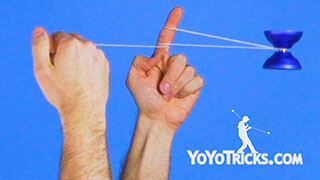 You aren’t going to be doing too much as far as getting it on and off strings. 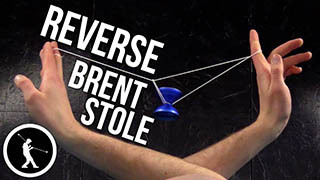 What you want to do is pass it over your opposite hand and then bring it right back and then you are going to continue the motion to give it two twists on your One and a Half Mount. 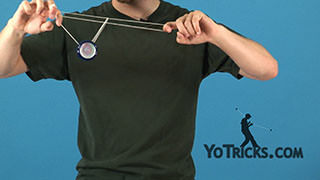 So again, you are going to go over. 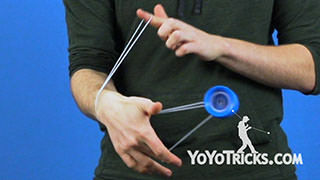 Bring it right back again here. 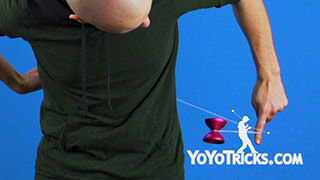 The dismount, for some people, can be the hardest part. 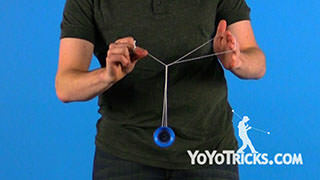 You are going to unwrap it twice, and as it comes off you are going to pull it over and catch it right back on this string. 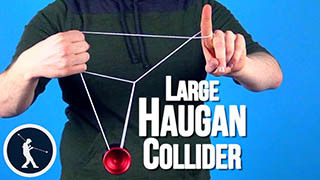 Let me put the whole thing together for you. 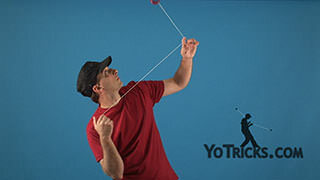 So you are going to go under, come over, you are going to go under, pull your string out, this gets you to a One and a Half Mount, go off that way, bring it back twice, pull it off, and again you want to try to catch it on that string. 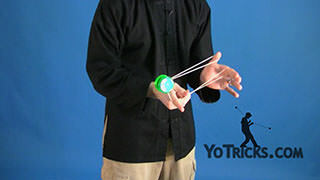 Sometimes you can miss that. 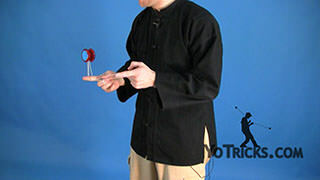 Let me show it to you one more time in full speed. 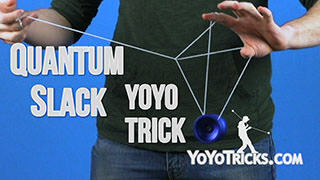 When you get better at the trick it can look a whole lot more impressive than just going under and under. You can throw it into those other strings and that makes it work just a little bit better. 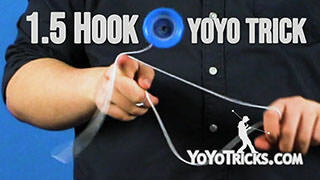 So you kind of throw it over, throw it over, bring it right back, catch it on the string.